Are You Suffering From Postpartum Depression? Find Out! Postpartum depression is very common and women may suffer from this after giving birth. If you are suffering from postpartum depression, then you are not alone and you can get help with this condition as well. Signs of postpartum depression include feeling sad and hopeless and crying for no reason. Just like every pregnancy is different, every cause for postpartum depression is also different. But researchers have found some common causes of postpartum depression which include changes in hormones, neurochemistry, and life history. The risk of postpartum depression is higher in people who have a history of depression, mental conditions or a history of anxiety. Depression is usually caused by emotional, stressful events, a biological change triggering an imbalance of brain chemicals, or both. Health issues post birth, if any, like blood pressure, diabetes, anaemia etc. Worries about relationships or changes in sleeping cycles due to the new baby. Having postpartum depression does not mean that a new mother does not love her newborn.Typically postpartum depression can develop within 4 to 6 weeks after giving birth, but it can sometimes take several months to appear. It is a psychological disorder that can be effectively treated with the help of support groups, counseling, and sometimes medication. Anyone with symptoms should see their doctor immediately. Yes, postpartum depression is a psychological disorder and there is definitely a cure for the same. It is a medical illness that affects to almost 11% of women after giving birth. 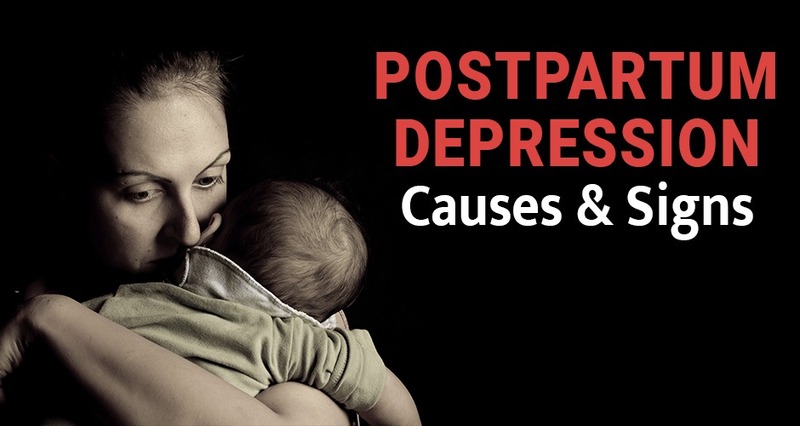 One should not ignore the signs of postpartum depression. The counsellor will ask a series of questions to determine the level of postpartum depression that the mother is having. If the patient says ‘yes’ to question about harming herself or the baby then it is termed as severe postpartum depression. If you feel you have postpartum depression then the first step is to ask someone for help. Start exercising and regular walks, well within your physical limits. Exercise makes your mood better and produces good hormones. Do not expect much from yourself or your baby. You both are new to this and will take time to settle down. Follow a good diet- avoid alcohol and caffeine and eat healthy food. Do not isolate yourself and be open to meet your friends and family. Get a lot of sleep whenever your baby is sleeping. Ask for help from your close relatives who will be there for you.